HTC has announced their latest Android smartphone, the HTC U Ultra and we have all the details on this new device. 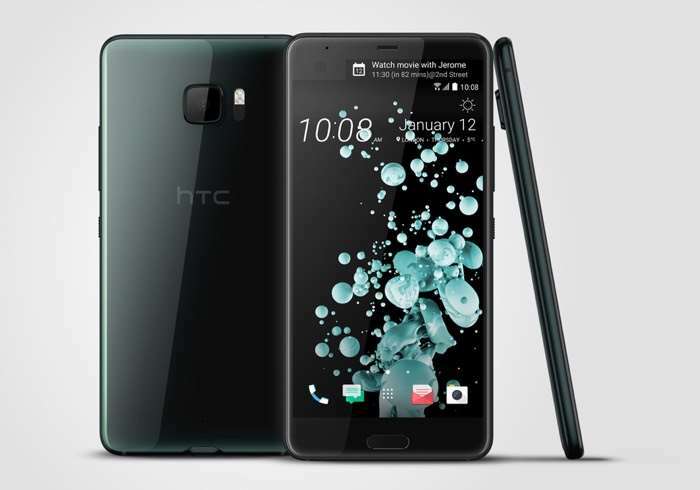 The HTC U Ultra comes with a 5.7 inch display that has a Quad HD resolution of 2560 x 1440 pixels, the handset has a dual display and the second display measures 2 inches and has a resolution of 160 x 1040 pixels. The display on the HTC U Ultra is made of different material depending on the model, the 64GB model comes with Gorilla Glass 5 and the 128GB model comes with a Sapphire Glass display. The new U Ultra is powered by a Qualcomm Snapdragon 821 processor and the handset comes with 4GB of RAM, as well as the storage mentioned above, there is also a microSD card slot for expansion. The device features a 12 megapixel rear camera with a f/1.8 aperture and it comes with phase detection and laser auto focus. The front camera comes with more megapixels, it is a 16 megapixel selfie camera with an f/2.0 aperture, it also has a fingerprint scanner on the front. HTC has removed the headphone jack from the HTC U Ultra, just like Apple did with the new iPhone 7 and 7 Plus handsets. The U Ultra features a 3000 mAh battery and the handset comes with Android 7.0 Nougat at HTC Sense, the device will be available to pre-order from today.